Seller will give you a gift certificate in the amount of 4,95 RUB for a positive review of the product purchased. 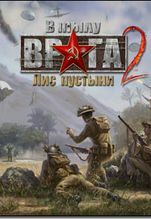 The game takes place during World War II and its single-player campaign features battles set in Europe, the Soviet Union, Greece, and North Africa across three different campaigns for the Allies, Germans and Soviets. Japan was introduced as a multiplayer faction in a patch. Links for download and activation key in archiv. Seller will give you a gift certificate in the amount of 4,95 RUB for a positive review of the product purchased..